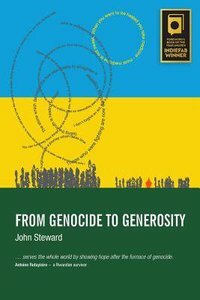 Throwing caution to the wind at a dangerous time John Steward gathers a handful of Rwandans to dream of ways to heal the wounds of genocide. Their vibrancy expands into a radical circle of change, which silently spreads outwards. Youth channel their energy into constructive goals, prisoners tell the truth, and healed survivors have courage to forgive and let live. Here are inspiring stories of transformation from pain to purpose, and peace instead of violence, with hope replacing sorrow.This generous living asks of us: "Is this healing and change only for Rwandans? "The personal stories make us ponder: "Can I really still say &apos;I could never forgive&apos;?" About "From Genocide to Generosity"